The hay loft inside our barn is where the farmer used to store hay for his cattle. 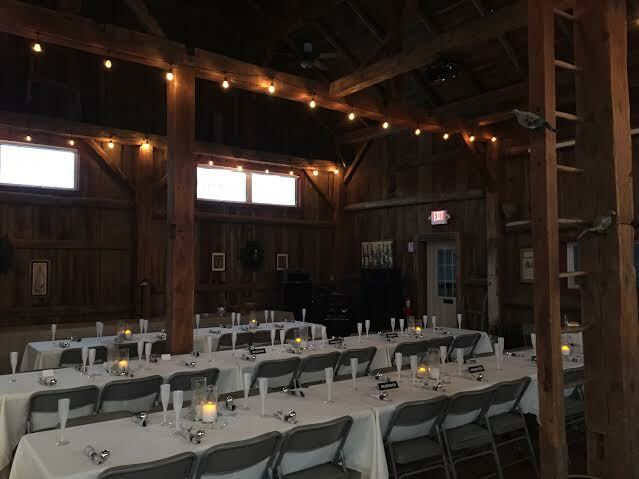 Our barn has been renovated and we have heat, air conditioning, WiFi, a projector & screen, and a SONOS stereo system all available at no extra charge. The capacity inside our barn is 50. Our barn has been inspected by the Industry Services Division of the State of Wisconsin, Department of Safety and Professional Services. What that means, is we have followed the proper procedures to ensure the safety of our guests. Our Grapevine Pavilion over-looks Whistler’s Vineyard. There is plenty of room for up to 200 guests. Keep in mind it is “winterized” from October 15th through May 1st. 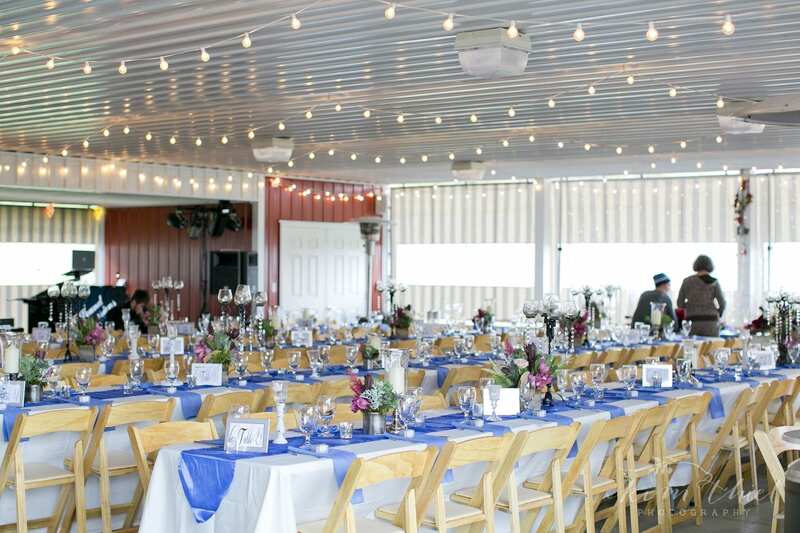 The Grapevine Pavilion is furnished with custom canvas curtains with vinyl windows. Four gas heaters can warm things up during cool evenings. 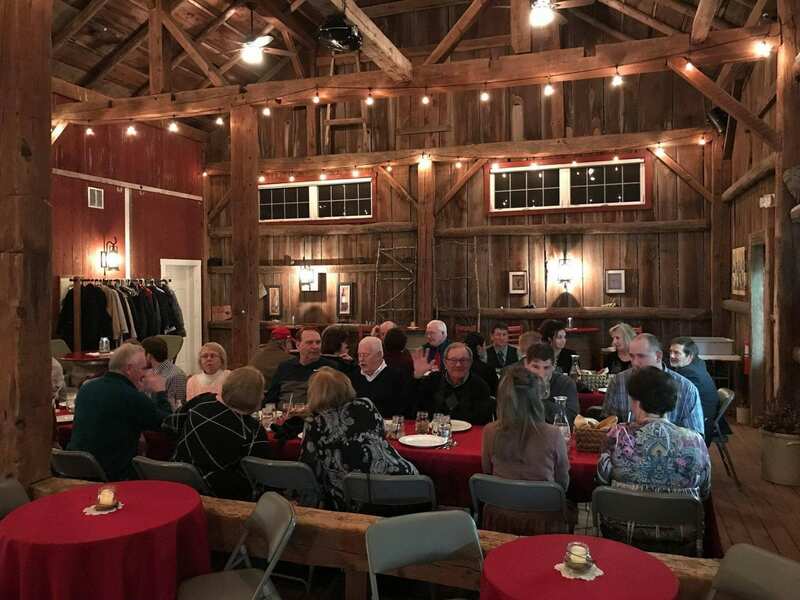 In our “off peak” season of mid-October through the end of April, you can rent our barn for $350 plus 5 % tax for 3 hours and up to 50 people. (A 20 % service fee is added to your final invoice.) For non-alcohol events, a minimum beverage charge may added to your invoice. Call for details. You can bring your own food for groups of 50 or less, or work with one of our approved caterers listed in the FAQ section below. Your rental includes a licensed bartender. Coffee, soft drinks, Mimosas, “mocktails'” infused water, wine, beer, and mixers are available for purchase. During the “Wedding Season” of May through mid-October, our venue is available for showers & private parties only on week nights (Monday through Thursday.) Weekend prices during “on peak” season of May 1st through Mid October are the same as a wedding rental which is listed on our “Wedding Tab.” Please Note: We are not able to hold a date without a deposit and signed contract. See our FAQs page for all of event planing questions!